Protect your surfaces with these subtle yet stylish Assassin’s Creed Metal Coasters. 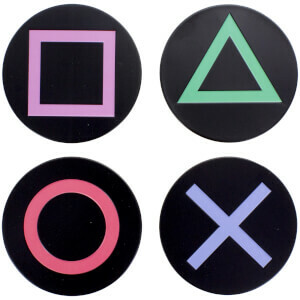 This set of coasters come in four different colours all featuring the game franchise’s iconic logo. This collection of four cork-backed metal coasters are the perfect accompaniment to your next tea break. 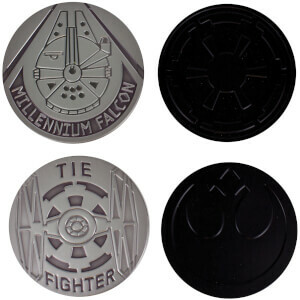 The coasters, which are grey, black, silver and brown, all feature a crisp, embossed design. One of the most popular video game franchises of all time, Assassin’s Creed games have sold over 100 million copies since their first release in 2007. 2017 saw the global release of the game Assassin’s Creed Origins for Microsoft Windows, PlayStation 4, and Xbox One. 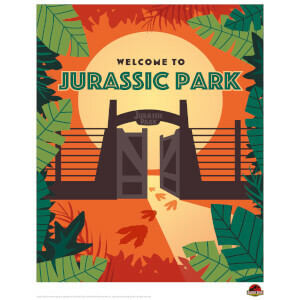 This game proved immensely popular with fans and more-than-doubled the sales of the previous instalment in the first ten days of sales. On top of the game franchise earning praise from critics and fans alike, the Assassin’s Creed movie was released in 2016 and took $241m at the global box office. A fantastic gift for lovers of the best-selling game franchise, or the much loved film, the Assassin’s Creed Metal Coasters make the perfect piece of Assassin’s Creed memorabilia. 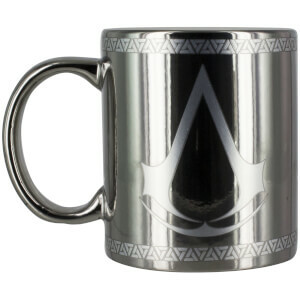 The Assassin’s Creed Metal Coasters are officially licensed Assassin’s Creed products.